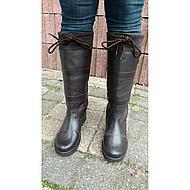 HKM Belmond 100% leather outdoor boot. 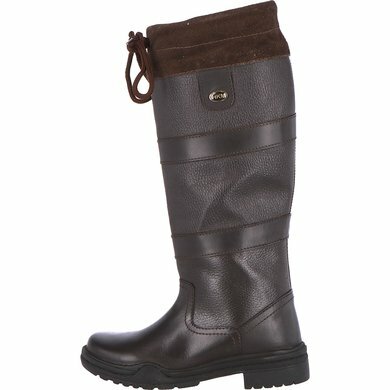 Ideal for rainy days with a soft inner lining. 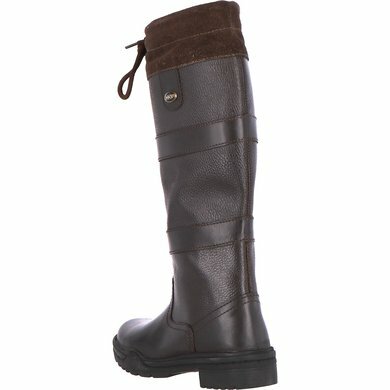 A must-have for every equestrian athlete! 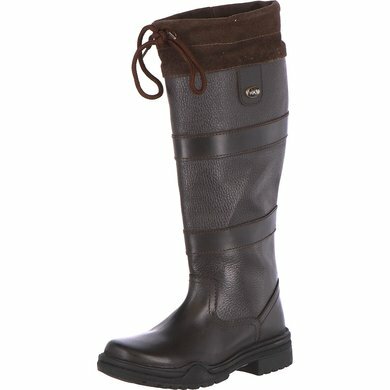 These outdoor boots stand for quality and appearance. 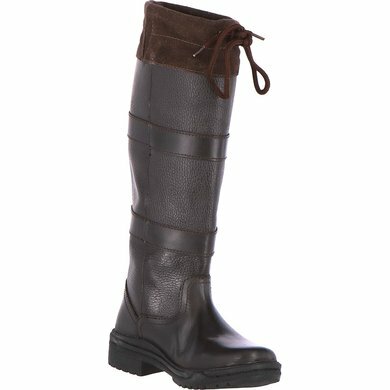 Ideal for around the stable or any other outdoor activity. 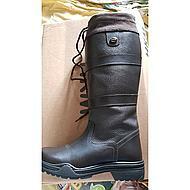 Most sold leather outdoor boot, now for a very competitive price. The calf size in size 38 is approx. 38-39cm. The calf size in size 39 is 40 cm. The calf size in size 40 is 41 cm. 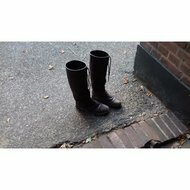 Bought these boots for the winter. 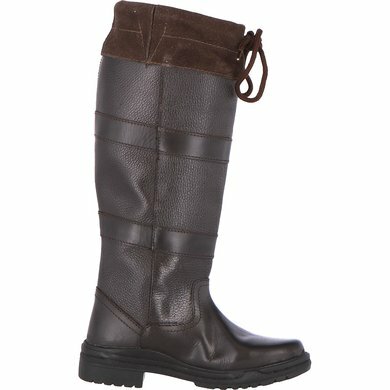 Walk the dog in all weather types of fall and winter with these lovely warm boots. And they are waterproof. Not suitable for people with thick calves. Beautiful boots. Have them greased right away. And then I walked right there. Nice with the dogs in the forest and delicious dry feet. Shank of the boot too narrow. No response on sent mail. 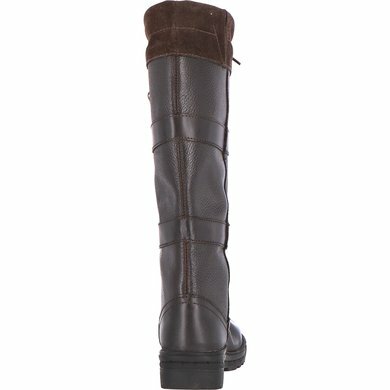 These boots are definitely recommended. Something or stiff the first days but then they run like a cast. Warm feet, while I normally get cold feet quickly! 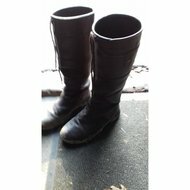 Easy to clean and a rough sole therefore also safe if it gets smoother outside. Highly recommended!! I am very satisfied with it. 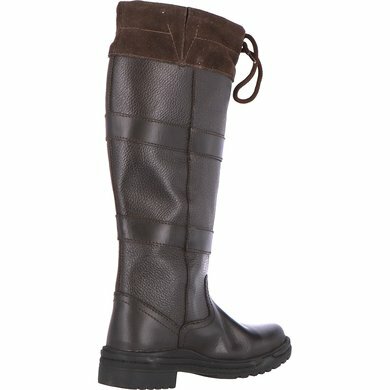 Question: How high is the neck of the boot measured from the sole? 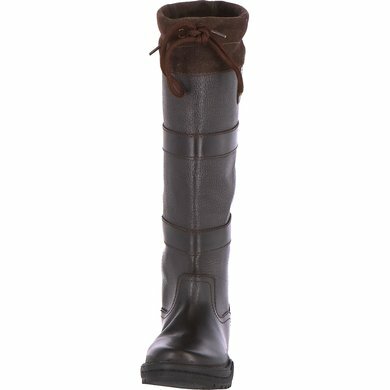 Answer: The height of this boot in size 37 is 42 cm. Question: Are these with 'teddy lining'? Question: what is shaft size in size 39? Answer: The calf size is then 40 cm. Question: What is the calf size at mt 39 and mt 40? Answer: In size 39, the calf is 40 cm and 40.6 cm high. 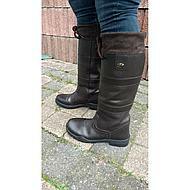 Size 40 has a calf width of 41 cm and these are 41 cm high. Answer: The winter boot is extra warm. 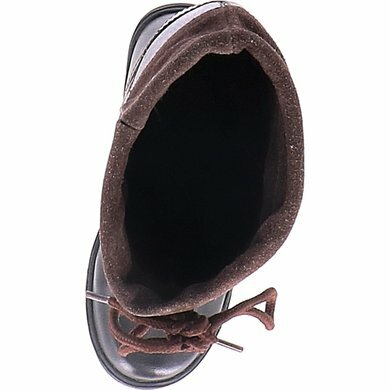 The winter boot with teddy lining has an extra lining. Answer: They are waterproof at the foot.